Surrounded by an olive grove, Eleftheria Studios is 1 km from the famous Trapezaki Beach. It offers self-catering accommodation with free WiFi and furnished balcony overlooking Lourdas Bay or the countryside. Situated on a cliff among lush greenery in Ratzakli Village, Divaria offers villas that enjoy views of the Ionian Sea and the surrounding area from their private balcony. Wi-Fi is available in all areas upon charges. Boasting Ionian Sea views, Alkioni offers air-conditioned studios with a kitchenette. 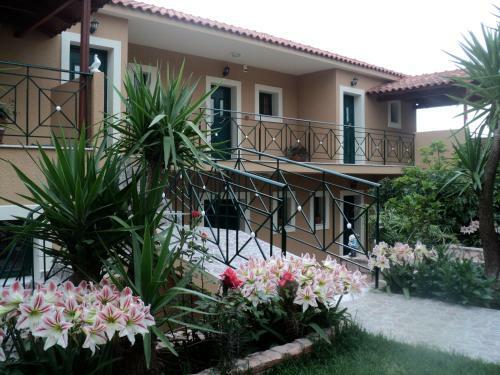 It is quietly located amidst a flower garden, 1 km from Trapezaki Beach. Mini markets and restaurants can be found at 500 metres. 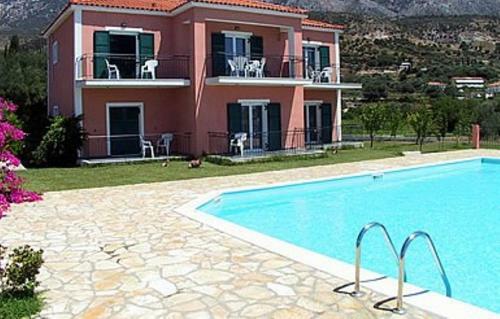 Emilia Apartments is 500 metres from Trapezaki Beach in Kefalonia, just a 5-minute walk from the village centre. It features self-catered accommodation with a private balcony overlooking the garden and the Ionian Sea. 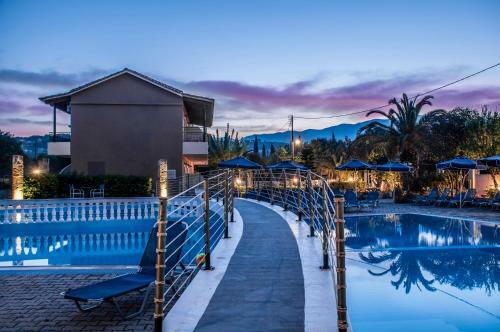 Surrounded by a palm-tree garden with a fountain and a children�s playground, Jovanna Studios features a pool with sun terrace within 600 metres from Trapezaki Beach in Kefalonia. Featuring an outdoor pool with a stone-paved sun terrace, Star Studios is located 600 metres from Trapezaki Beach. It is surrounded by a well-tended garden and offers self-catered accommodation. Free Wi-Fi is available throughout. Situated 1 km away from Lourdas Beach, Epi Apartments offers self-catering accommodation with a private balcony or patio enjoying garden or Ionian Sea views. Within 200 metres, you will find a mini market. Situated on a green hillside 500 metres from the sandy beach of Trapezaki in Kefalonia, Gerasimoula features a swimming pool. 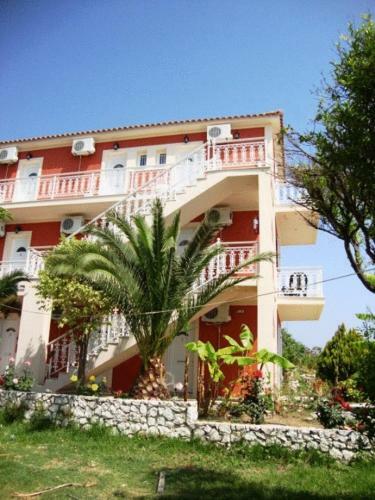 It offers air-conditioned studios with free Wi-Fi and balcony overlooking the Ionian Sea or the garden. Situated in the village of Trapezaki, 1 km away from the beach, Fiora is a complex of Ionian-style villas set amidst lush surroundings. All units feature a fully fitted kitchen and offer free Wi-Fi throughout. Situated in lush surroundings 800 metres from Avithos Beach in Svoronata, the Olive Grove features a swimming pool and snack bar. It offers air-conditioned studios with a furnished balcony overlooking the colourful gardens. 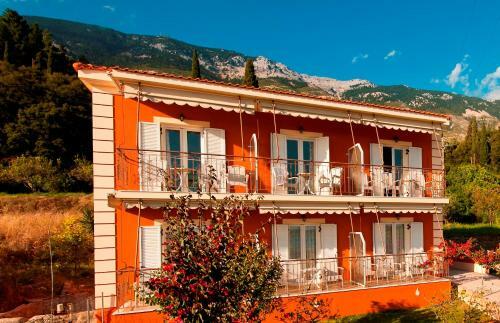 Surrounded by lush greenery in Mousata, Galini offers self-catered accommodation with free Wi-Fi and a furnished balcony overlooking the Ionian Sea, the mountains of Kefalonia or the garden. Free 2-way transfer from Kefalonia Airport is provided. Enjoying Ionian Sea view from their private balcony, Elpida features self-catered accommodation with free Wi-Fi. Surrounded by a well-tended garden, it is located 600 metres from Trapezaki Beach and 100 metres from a super market and restaurant. 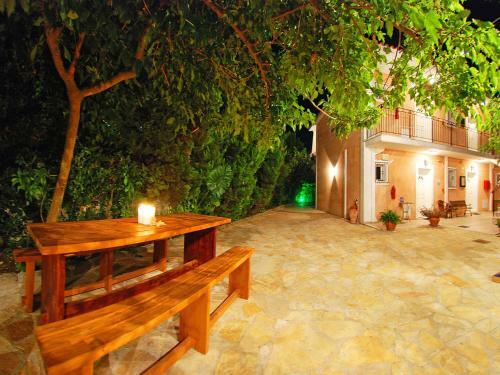 Only 100 metres from the picturesque beach of Kounopetra in Kefalonia, Villa Carina offers self-catering accommodation. Featuring a furnished balcony overlooking the Ionian Sea, all air-conditioned units provide guests with free Wi-Fi. Situated in the village of Agia Efimia in Kefalonia, Boulevard Panorama Suites is located 250 metres from Saint Efimia beach. 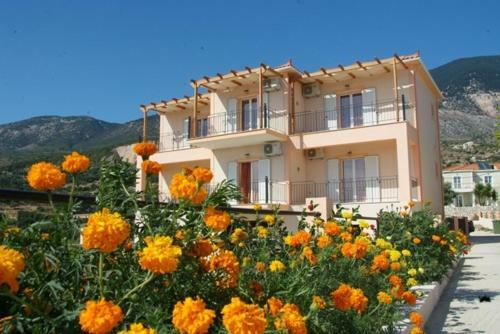 It offers self-catering accommodation with furnished balconies overlooking the Ionian Sea and the Pylaros Valley. Surrounded by olive and palm trees, Anastasis Apartments is a 2-minute drive from the famous Trapezaki Beach in Kefalonia. Surrounded by a palm-tree garden, Sofia Studios features a free-form pool with sun loungers and umbrellas. It offers air-conditioned studios and outdoor BBQ facilities. Trapezaki Beach is 1 km away and free on-site parking is available. Angela Studios are located just 30 metres far from the sandy beach of Lourdata. At a near distance of 100 metres guest find restaurants and a mini market. Oceanis Apartments is set in front of the port, nestling amongst the trees in the scenic village of Poros in Kefalonia. The village centre is 150 metres away. Located on a hillside of olive groves in Vlachata, Ocean Front Studios features self-contained accommodations with kitchenettes and furnished balconies overlooking the Ionian Sea. Ostria�s House lies in the south-eastern tip of Kefalonia, in the picturesque village of Ratzakli, at the district of Skala. The port is only a 20-minute drive away. Guests enjoy free Wi-Fi and barbeque facilities. Situated in the village of Mousata, Nostos is set within lush greenery and has a swimming pool overlooking the Ionian Sea. It offers air-conditioned accommodation with a well-equipped kitchenette. Situated in Trapezaki area, Manolia Studios has a pool and a poolside bar set within a garden of palm trees and magnolias. Its rooms enjoy views of the Ionian Sea or Mount Ainos. Situated on Lourdas Beach, at the foothills of Mount Ainos, this small two-storey building is only 20m away from the waterline. The complex offers spectacular views of both mountain and sea. Guests enjoy a private garden and parking. 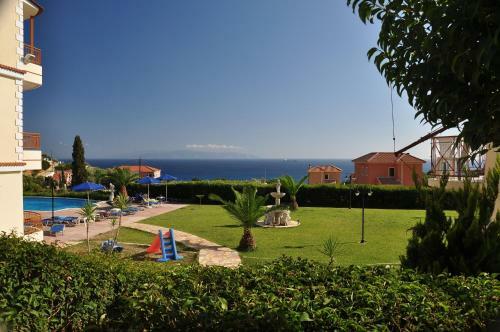 Located in Skala, in South-East Kefalonia, Summer Sun is only 150 metres away from the beachfront. It offers air-conditioned rooms with spacious balconies and terraces, and panoramic views of the Ionian Sea. Enjoying the peaceful surroundings of Trapezaki, Marina-Anna Studios boasts beautiful views overlooking the sea and offers a large outdoor pool and bar, with free private parking. Relax with a drink around the pool and enjoy beautiful sea views. Offering a private pool, Trapezaki Eleni Villa is just 1.3 km from Trapezaki Beach. 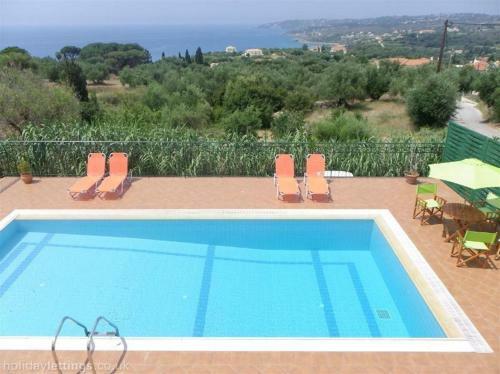 It features a fully equipped and elegantly decorated unit with Ionian Sea, garden and mountain views. Free WiFi is available throughout. Facilities include a BBQ. Within 500 metres from Trapezaki Beach in Kefallonia, Erasmia is a split-level villa with private pool and a furnished sun terrace with panoramic views over the Ionian Sea. Free WiFi is provided throughout and free on-site parking is possible. 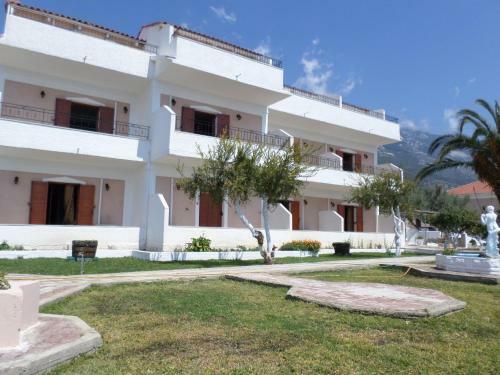 Faros Suites is located in the charming village of Fiskardo, just 40 metres from the beach. It offers a lovely swimming pool area and elegant accommodation with kitchenette and views of the scenic surroundings. Located at the foot of Mount Ainos, on the southwest of Kefalonia, Ideales Resort features self-catered villas with a private swimming pool and sunbeds. It offers free Wi-Fi in the entire property and free private parking. Enjoying wonderful views over Myrtos Bay, Odyssey Villas offers a swimming pool with a lovely stone-paved sun terrace in the green-covered Agia Kyriaki area. The beach is just 50 metres away. The newly built Diana Studios is located in Trapezaki village, just 1.5 km from the sandy beach. Offering a panoramic sea and mountain view, it features an outdoor pool. Free WiFi is available throughout.